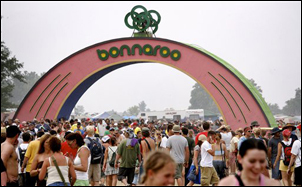 MANCHESTER, TN (CelebrityAccess MediaWire) — A.C. Entertainment and Superfly Presents, organizers of the annual Bonnaroo music festival in Tennessee, have reportedly paid $8.7 million for the 530-acre farm where the event takes place. According to the Nashville Tennessean, the promoters bought the Manchester property for a total of $8,686,482, from owner Sam McAllister. The investment appears to be well worth the high selling price, equaling nearly double the suggested local farmland price, as Bonnaroo grossed more than $14.7 million in ticket sales alone, with money from sponsorships, concessions, and other sources adding on plenty. The organizers said they plan to use the land to host other concerts and events at the site as well.